It’s Graduation season — one of the most exciting times of year and, for millions of 20-somethings, the launching pad to the real world. For recruiters, this also means your talent pool is opening up. So, to help you get a clearer picture of what these new grads from Generation Z have in store, we’ve looked through our data and put together a list of things you should know in order to recruit them. 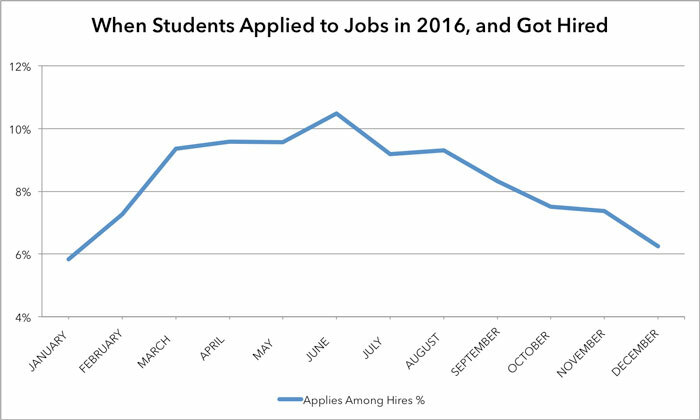 In 2016, LinkedIn found that students were applying and getting hired the most between the months of April and June. With pressure from Mom and Dad to get a job, these months are crunch time for grads. That means that now’s the time to fill your entry-level jobs with college grads eager (or not so much) to start their careers. 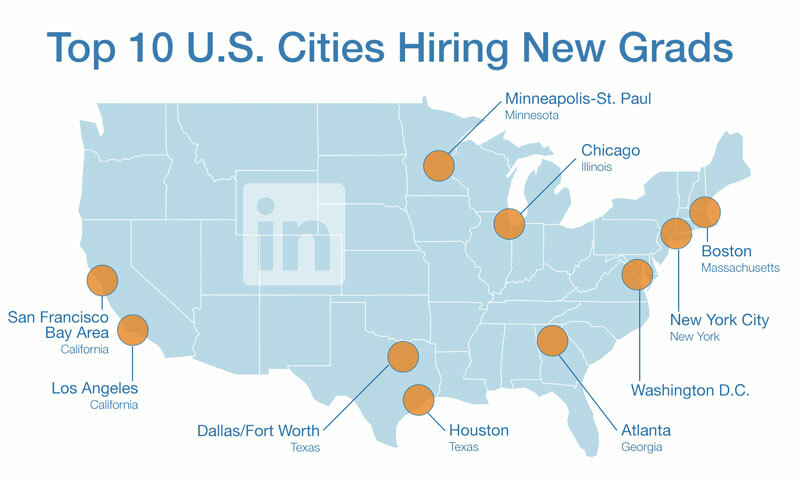 The first job after college opens up so many opportunities for new cities and industries. From Los Angeles to New York, financial services to entertainment the opportunities seem endless. While a lot of the younger generations value a company’s purpose over their compensation, it’s important to know what you’re getting into when offering roles to recent grads. With free access to our LinkedIn Salary tool, students can identify the different factors that influence their salary. Make sure you’re prepared to have an educated conversation around compensation because you can bet recent grads will be coming to the table with their research. 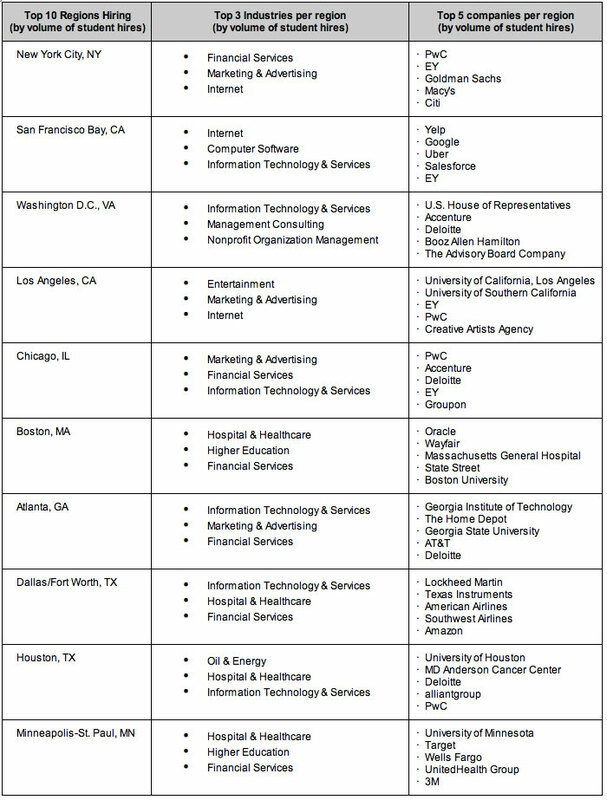 This new graduating class opens up a ton of opportunity for recruiters and hiring managers to access even more quality talent on LinkedIn. 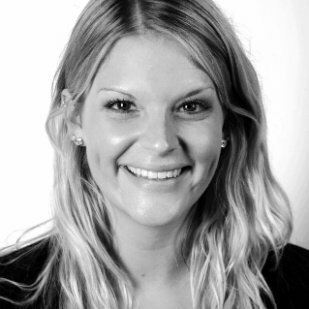 Make sure you’re prepared for what the next wave is bringing to the workforce! To create this report, we analyzed thousands of profiles of members who indicated on their profile they had graduated between 2015 - 2017. 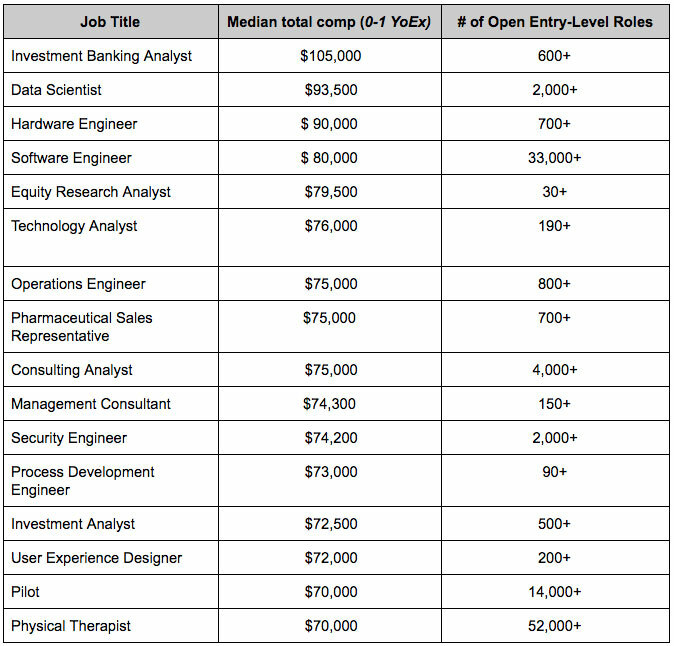 The salary information is based on data collected within the LinkedIn Salary tool.